Quality is our standard. Our vinyl products are made with the highest quality pure virgin PVC and are backed by a lifetime warranty. Each of our fence styles are designed to meet your privacy, security and aesthetic needs. Please feel free to browse our website or visit our showroom to see our fill line of products. Our experienced professional sales staff will assist you with finding the perfect product to meet your needs, and our fabrication shop can customize or create almost any style according to your specifications. Our customer service, design support, and installation staff are second to none. At R&S you’ll receive a quality product and a quality experience that you will appreciate now and for years to come. Homestead Outdoor Products is a resource for contractors in southeastern Pennsylvania. We provide two things: high-quality products and helpful consultation. Come to us for all the help you need in planning your next job. We’re family-owned, manufacturer trained, and ready to serve since 1991. We supply materials for the residential decking, porch, and fencing markets. Superior Plastic Products is a quality manufacturer and supplier of Vinyl Railing, Vinyl Fencing, and Vinyl Specialty Products. Experience outdoor living with the richly designed, casually elegant, and timeless style of Superior Plastic Products’ vinyl fence and railing products and accessories. Your indoor living space quickly expands into beautiful, usable outdoor living space. Superior offers boundless options to surround you with a carefree, enjoyable, and lasting environment. With over 30 years of design and vinyl manufacturing expertise, Superior Plastic Products offers a wide variety of products and styles designed to maximize your enjoyment, security, and privacy. Manufactured and finished in the heart of Lancaster County, Pennsylvania, Superior has tapped into the wealth of knowledge and experience of our local craftsmen to blend ageless classic designs with modern, low-maintenance materials and superior structural integrity. 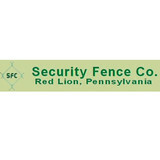 Lee Fence and Outdoor provides custom fencing solutions to the Pennsylvania and Maryland areas. Established in 2000, AK Fencing is a small, family-owned business built almost entirely on referrals. We are licensed and insured, installing all types of fencing in MD, NJ, and eastern PA. Our goal has always been to provide customers with a top-quality fence, and still meet their requested budgets. Each of you has unique needs, and we listen to determine what would be the perfect fence in your situation. We do our best to provide customer satisfaction – if you’re not happy with our materials or workmanship, we’ll do all we can to resolve the matter. Our six employees have over twenty-five years of combined experience; both of our crew leaders have over eight years experience in the industry. We are confident we can install fences in a way that will make you want to tell your friends and neighbors about us, because that is the key to our future. While we do not have a showroom, we would be glad to meet with you to discuss fencing options. We hope you choose us to be your fencing contractor – and we hope to exceed your expectations. Just give us a call or send an email. Fully Insured and licensed, free estimates at home or over the phone directly by the owner. I, the owner, is going to install every fence without any sub-contractors. 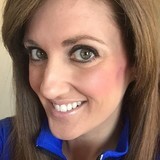 Word of mouth is my main source of job growth, which means I care about my finished result. Custom blacksmithing and architectural metal work. Specializing in railings, gates, furniture, hardware, period reproductions, restoration and repairs. Very simply, a deer fence is a fence specially designed to keep deer out of an enclosed area, often referred to as a deer exclosure. Deer fencing can be as small as the back yard tomato garden or as large as the entire farm or estate. A deer fence can be made of wood, metal or plastic or a combination there of. Each type of deer fence has its own set of advantages and weaknesses. When planning a deer fence for your property, knowledge is power. We will take a look at several deer fences as well as some deer prevention strategies and explore both strengths and weaknesses for each. This will enable you, the consumer, to choose what is best for your application. We are a family owned fence company with over 28 years experience in all types of fence installation; Aluminum, PVC, Wood and Chain Link Fence. We are confident we can find the perfect fence to meet every budget. We are committed to providing all our customers in the south central area of Pennsylvania with quality, professional service. For a FREE ESTIMATE, contact us by email castillofence@comcast.net or phone 717-651-0479. We are fully insured and licensed. PA contractor license #PA013692. 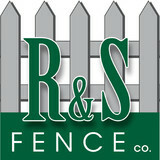 Your New Market, PA fence installation and repair professional will work with you to create your ideal fence. 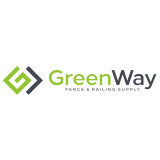 Find a fence contractor in New Market, PA on Houzz. 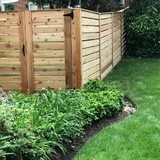 Narrow your search in the Professionals section of the website to New Market, PA fence contractors. You can also look through New Market, PA photos to find examples of fencing and gates that you like, then contact the professional who worked on them.